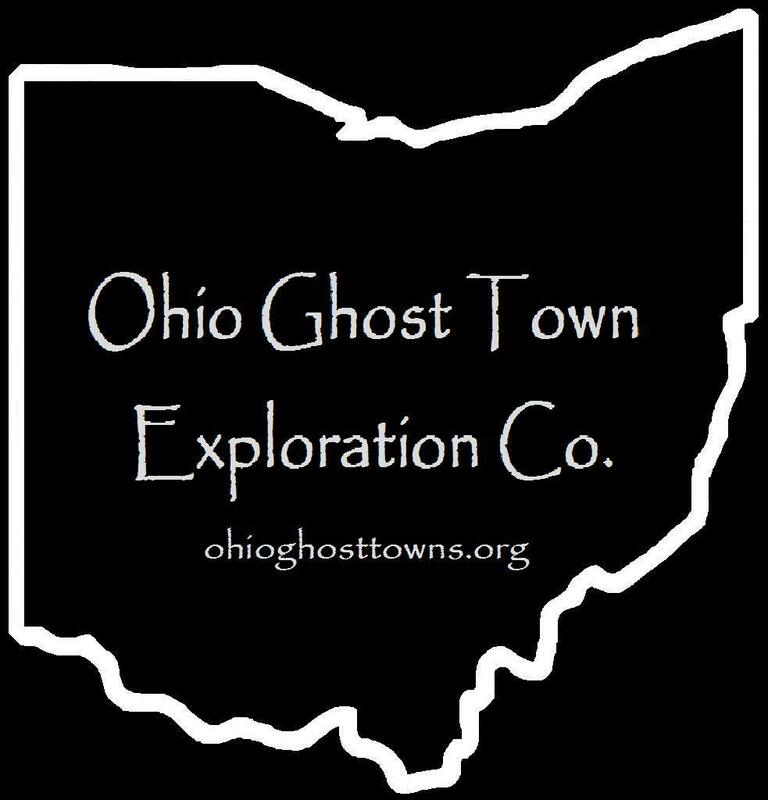 Brown County – Ohio Ghost Town Exploration Co. Featuring 3 towns with 10 pictures from Brown County, “Restored Ohio” is scheduled for release on April 29, 2019. It’s the sequel of “Abandoned Ohio” (2018) & shows a different side of what physically remains of Ohio’s past. Many of the locations operate as businesses such as restaurants, hotels (former stagecoach stops), museums, & working mills. Description: Bernard was the name of the train station & post office at Five Points on the Cincinnati & Eastern Railway (formerly the Cincinnati, Portsmouth, & Virginia Railroad). It had 2 dry goods stores, a blacksmith shop, & a Methodist Episcopal church. Morgan’s Raiders, a cavalry unit of 2,500 Confederate soldiers, passed through the area in July of 1863 during the Civil War. Luckily for the local residents, the soldiers only stole a few horses & didn’t do any other damage. The railroad is currently owned by Norfolk Southern. Description: The town had a school (Sterling Township No. 3) on the south side of Blue Sky Park Rd & a shoe shop on the west side of Bloomrose Rd south of the GPS coordinates. Its United Brethren congregation was formed in 1845. The land for Bloomrose Church & Cemetery was acquired by the congregation from Joseph Brown (1812 – 1886) who moved to Ohio from Maine & Zelinda Brown (1820 – 1847). Their son Joseph Bennett Brown was the first interment. Joseph married Ruth Brown (1821 – 1886) after Zelinda passed away. The current brick church structure was built in the early 1880s. In the late 1800s – early 1900s the town was called Prall & was named after the most prominent family in the area at the time. Several of their family members were also buried in the cemetery, dating back to Thomas Prall (1813 – 1874) from New Jersey & Catharine (Lefler) Prall from Ohio (1817 – 1895). The town lacked industry though & couldn’t compete with several other villages in the township which were more prosperous, but the church is continues to operate. Description: De La Palma was founded by Absalom Day (1773 – 1839) from New Jersey & Elizabeth (Earhart) Day (1776 – 1843) from Pennsylvania. They were one of the original 10 families in Williamsburg, Clermont County in 1796 & received a land plat for settling there when it was a newly formed town. Sometime around 1800, the Day family moved to a farm next to Dela Palma Rd. Absalom & Elizabeth had 12 children. Most of them married into families from nearby towns & moved away. In the mid 1800s, William Weeks (1810 – 1875) & Sophia Weeks (1814 – 1885) bought the Day farm & opened up a post office & general store. It ran from 1850 – 1882. The town name later went by Delapalma with a post office of the same spelling from 1898 – 1903. There was also a cooper shop near the post office on the west side of Dela Palma Rd & one room schoolhouse (Sterling Township No. 2) that still stands at the corner of Dela Palma Rd & Bardwell West Rd. Absalom & Elizabeth were buried in Price Cemetery near the bank of Four Mile Creek in Clermont County. It’s on private property between Zimmer Rd & Ireton Rd. Abasolom’s father, Revolutionary War veteran Jeremiah Day (1752 – 1820), was also buried there. His mother’s grave, Sarah (Dod) Day, hasn’t been located yet. Description: It was between Locust Grove & New Hope & was mentioned as a former postal town in the 1883 History Of Brown County, Ohio. Description: Gerta was the name of the post office at Slickaway, which is still a populated place. It had a mill, a school (Huntington Township No. 5) on the east side of SR 763 & a Christian church in the northwest corner of the intersection of SR 763 & Stringtown Rd. Martin Hill Cemetery was established on land owned by War Of 1812 veteran Captain Elijah Martin (1768 – 1842) born in Maryland & Rebecca (Boggs) Martin (1770 – 1848) from West Virginia. They had several children & were the largest family in the area. The mill called Sharondale, was built by famed frontiersman Daniel Boone in the early 1800s. It was on the north side of SR 41 next to Big Threemile Creek & sold a few times until it caught fire in 1882 & wasn’t rebuilt. Description: Gillets had a train station on the Cincinnati, Georgetown, & Portsmouth Railroad & was founded by John Gillette (1836 – 1908) from Franklin Parish, Louisiana & Tirzah (Richards) Gillette (1842 – 1928). They met & married in Brown County in 1858 & had at least 7 children. The old Gillette farm still exists in the northeast lot of the intersection of Gillette Station Rd & Barnes Rd. There’s a few variations to the family surname, including Gilet, Gillet & Gillett. John & Tirzah were buried with relatives in Confidence (Georgetown) Cemetery on Mt Orab Pike on the north side of Georgetown. The railroad ran from 1877 – 1936. Its tracks started in Columbia – Tusculum in Hamilton County but only made it as far as Russellville in Brown County, due to funding problems. Most of the tracks are long gone but there are some remnants left of the railroad in Hamilton, Clermont, & Brown County. Description: It was listed in the 1843 A Table Of Post Offices In Ohio as being 25 miles from Georgetown. William B. Williams (1812 – 1887) moved to Ohio from Bucks County, Pennsylvania & was the postmaster. He was buried with relatives in Williamburg Cemetery on Gay St in Clermont County. Description: Jonathan Henderson (1767 – 1865) & Ellen Henderson moved to Ohio from Pennsylvania in 1820 along with some of their grown children & their families. Descendants of the family continued to live on the original farm for a few generations. Burials took place in Pleasant Hill Cemetery on the north side of Kendall Rd between Tamme Rd & Juillerat Rd. The town fell into obscurity before the late 1800s & didn’t make it onto the 1876 atlas. Description: It was named after the Hill family in the area. They owned land south of the cemetery on the west side of Hillman Ridge Rd along Evans Run. The cemetery predates the town & the first know burial was English immigrant Issac Waters (1761 – 1814). Hillman had a school (Pleasant Township No. 6) across the road from the cemetery & a Christian called Olive Chapel on Old State Rte 68. Evans Run Rd went from Old State Rte 68 across the creek & headed west over to Hillman Ridge Rd south of the GPS coordinates in the mid-late 1800s. Description: The town had a school (Lewis Township No. 2) on Shinkle Ridge Rd in front of the church. Land for the school, church, & cemetery was donated by the Shinkle family. The Union congregation was formed in 1819 & originally had a stone chapel built in the early 1820s. It was replaced with a brick church in 1852 & later the present wood frame structure. William W. Clark (1790 – 1877) who moved to Ohio from Pennsylvania, was the town’s postmaster. He was buried with relatives in Clark Cemetery in the woods off of Marriott Rd. Description: This small farming town’s existence was solely due to its church congregation which formed in 1810. A creek stone chapel was constructed in 1817 & was replaced with the current wood frame structure in 1874 at a cost of $1200. Although the church & cemetery are still in use, the town never grew much & didn’t have any other industries besides farming. It fell off of the maps before the late 1800s. Description: Amos Mitchell platted the town with 46 lots in the late 1810s before Georgetown was laid out, naming it after the 5th U.S. President James Monroe. None of the lots sold & Amos had the only cabin in the failed town. The plat was between Old US Rte 68 & an abandoned section of Frost Rd that formerly headed north up Sheep Run. Description: The Thumann Log House was originally a log cabin structure built as a tavern in 1811. It was remodeled with wood frame in the 1840s and turned into an important stagecoach stop between Chillicothe and Cincinnati. The Murray family purchased the property in 1851 and operated the tavern and hotel into the 1900s. It was added to the National Register Of Historic Places in 1975. Description: North Feesburg was on the Cincinnati, Georgetown, & Portsmouth Railroad between Hammersville & Gillets. It served as a stopping point for local residents to utilize the speedy train services. As with all of the other small towns along the former railroad that aren’t around these days, its birth & death coincided with the arrival & removal of the tracks. Description: It was founded by a branch of the O’Conner family in the county & was listed in The Ohio Gazetteer And Traveler’s Guides from 1837 – 1841. John H. O’Conner was the postmaster. The family dropped the O’ from their surname & changed it Connor & Conner in the mid-late 1800s. Description: Salem was the name of the train station on the Cincinnati & Eastern Railroad (Cincinnati, Portsmouth, & Virginia) at present-day Eastwood. The town had a Methodist Episcopal Church which is currently a private residence on Salem Church Rd south of the GPS coordinates. George W. Smith (1817 – 1898) was the first postmaster at Eastwood. He was buried with relatives in Bloomrose Cemetery on Bloomrose Rd. Morgan’s Raiders also passed through Salem in July of 1863 during the Civil War. Norfolk Southern owns the railroad now. Description: Skiffsville was a small farming & postal town & at least the road running through it still bears the name as a reminder of its short-lived existence. Description: Straight Creek had a general store & a grist mill on the south side of Old State Rte 68 west of the GPS coordinates & a school (Union Township No. 11) on the west side of Old State Rte 68 south of the GPS coordinates. Some of the buildings in the area date back to the town’s postal days. The last postmaster was Josiah Drake (1811 – 1862). He was buried with relatives & early residents of Straight Creek in Norman Cemetery on the east side of Free Soil Rd between Loudon Rd & Cahall Schoolhouse Rd. Description: This small farming & postal town also had a stop on the Cincinnati, Georgetown, & Portsmouth Railroad called Sunshine Station between Gillets & Traceys in the early 1900s. There was also a school (Pleasant Township No. 9) on the east side of Mt Orab Pike north of its intersection with Miller – Ring Rd & a steam powered saw mill on the east side of US 68 north of Sunshine Rd. Description: The town’s postmaster Curtis Wilson from Vermont & Archibald McLain (1809 – 1886) constructed a water powered saw mill on Todds Run, but it wasn’t in operation very long. The dam was destroyed almost every time the creek flooded & they simply grew tired of rebuilding it. Todds Run also had a blacksmith shop & a Baptist church that was built in 1882. Archibald was buried with relatives in Williamsburg Cemetery on Gay St in Williamsburg, Clermont County. Curtis Wilson’s grave hasn’t been located yet. Description: Tracys was another stopping point on the Cincinnati, Georgetown, & Portsmouth Railroad between Sunshine Station & Georgetown. Its proprietors were Francis Tracy (1830 – 1923) & Julia (Dunn) Tracy (1836 – 1917) who lived in Sunshine. There were a few mills next to the creek along what was called the cascade falls running through the border of Pleasant & Lewis Township near SR 125. Some of the mill buildings on private property appear to still be intact on satellite maps, although in poor shape due to time & Ohio’s seasonal weather changes. Francis & Julia were buried with relatives in Confidence (Georgetown Cemetery) on Mt Orab Pike on the north side of Georgetown. Description: It was named after the natural springs in the area fed by White Oak Creek. De La Palma was founded by Absalom Day (1773 – 1839) Elizabeth (Earhart) Day (1776 – 1843). They were one of the original 10 families in Williamsburg, Clermont County & received a land plat for settling there when it was a newly formed town. Their daughter Mary, born June 28, 1797, was the first child born in Williamsburg. A few years later, sometime around 1800, the Day family moved to a farm next to Dela Palma Rd. Absalom & Elizabeth ended up with 12 children. Most of them married into families from nearby towns & moved away. The road into what would become the tiny town of De La Palma provided a good traveling route between Clermont County & that section of rural Brown County. In the mid 1800s, William Weeks (1810 – 1875) & Sophia Weeks (1814 – 1885) bought the Day farm & opened up a post office & general store there. It ran from 1850 – 1882 & helped get De La Palma into the 1883 History Of Brown County as a postal town. The name later went by Delapalma with a post office of the same spelling from 1898 – 1903. There was also a cooper shop near the post office & one room schoolhouse (Sterling Township No. 2) that operated for a few decades & still stands at the corner of Dela Palma Rd & Bardwell West Rd. Absalom & Elizabeth were buried with some of their family members & other early families from the area in Price Cemetery near the bank of Four Mile Creek in Clermont County. Absalom & Elizabeth were buried in Price Cemetery near the bank of Four Mile Creek in Clermont County. It’s on private property between Zimmer Rd & Ireton Rd. Abasolom’s father, Revolutionary War veteran Jeremiah Day (1752 – 1820), was also buried there. His mother’s grave, Sarah (Dod) Day, hasn’t been located yet. Allen Woods (1767 – 1862) immigrated to the United States from Ireland and married Hannah (Galbreath) Woods (1767 – 1852) in Pennsylvania. They moved to Ohio in 1803-1804. Allen platted Georgetown along what is now State Route 125 with 22 lots and 2 outlots in 1819. It quickly acquired more plat additions from local landowners and became the county seat in 1821. The town was attracting everything it needed, including mills on White Oak Creek, grocery stores, hardware stores, blackmiths, and doctors. Public buildings such as new schools and churches were constructed whenever necessary. The population was at 618 in the 1850 census. It was stated in the 1883 History Of Brown County, Ohio that Georgetown’s growth was slow but steady. The town had a train station on the Cincinnati, Georgetown, & Portsmouth Railroad from 1886 – 1936 but its arrival and existence didn’t create a major population boom for the town. Businesses usually did well in the town square and were rarely unoccupied. The Georgetown Historic District was added to the National Register Of Historic Places in 1978. It consists of 17 acres with 42 buildings and offers an alternative to the normal shopping experiences of the era. Parking is free in the town square and many historic structures are within walking distance. In accordance with agreeing to be the county seat, Georgetown’s first courthouse was built in 1823 and eventually needed replaced. A much larger courthouse was completed in the town square in 1852. During the Civil War, and on the same day they reached the Wickerham Inn, a Confederate detachment of 200 – 300 of Morgan’s Raiders cavalry unit took control of the town square while stealing horses and goods from stores and residents. Long After surviving that day, a section of the courthouse was destroyed in an arson fire in 1977. Local citizens formed the Brown County Courthouse Reconstruction Association and raised funds for its restoration. The courthouse was rededicated in 1982. General of the Union Army in the Civil War and 18th President Of The United States, Ulysses S. Grant, spent his childhood in Georgetown before leaving for the West Point Military Academy in 1839. His father Jesse Grant (1794 – 1873) and mother Hannah (Simpson) Grant (1798 – 1883) saved up $1100 in Point Pleasant, Clermont County. They moved to Georgetown and built their family home on Grant Avenue in 1823 when Ulysses was just a year old. Jesse owned a tannery across from the house and ran a construction business. He was the mayor of Georgetown from 1837 – 1839. The Grant’s home was purchased by Judge George Campbell & Teresa Campbell, who started its restoration. It was sold to John and Judy Ruthven in 1977 & they donated it to the state in 2002. The house was declared a National Historic Landmark by the federal government & a total restoration was finished in 2013. The school Ulysses attended is restored on S Water Street. Both are museums run by the Ulysses S. Grant Homestead Association. Georgetown is also home to the annual Brown County Fair. The population in 2010 was 4,331. It’s one of few old towns in Ohio that can boast of never having a lower 10 year census count than the prior one. Higginsport was basically platted on top of what was already a ghost town. In 1804 Revolutionary War veteran Colonel Robert Higgins (1746 – 1825) from Pennsylvania settled next to the Ohio River near mouth of Red Oak Creek with his wife Mary (Jolliffe) Higgins(1763 – 1806). Robert platted the village of White Haven & offered incentives to new settlers. Only a few families took him up on the offer though. The would be town was scratched & Robert tried again, platting Higginsport in 1816 with 114 lots, a public square, & the town named after his family. There were about a half dozen log cabins in 1828 & Higginsport got its first store that same year, followed by several more stores & a post office in 1829. The first brick house in town was built in 1835 at the corner of Water St & Brown St. A brick constructed in 1842 replaced the earlier stone & log cabin chapels. One of the main sources of income for locals was farming corn & tobacco. White Burley tobacco was named after the color of the plants & is know to have been grown in the area before 1850. A steam powered grist mill was built in 1855 by Henry Davidson & William Dugan. They added a whiskey distillery in 1861 & a warehouse in 1863. The 1880s was probably Higginsport’s heyday with a population of around 850. The town had a couple dozen small businesses including general, dry goods, clothing, & grocery stores, two tin shops, two drug stores, a hardware store, & tobacco store. There was also a blacksmith, doctor, 17 tobacco warehouses at the peak of production, & several churches over the decades. A large school was constructed on Gaines St in 1880. One of the last major businesses in Higginsport was a steam powered saw mill built by Boyd & Co. of Levanna in 1887. The town never had a railroad & didn’t get any big businesses in the 1900s to create another population boom. These days, Higginsport has around 250 residents, & the number is likely to decline in the future. Most of the original streets remain intact with older buildings scattered around. An abandoned bridge crosses Red Oak Creek between SR 221 & Old A & P Rd. It was built with steel made by the Carnegie Steel Co. who’s owner Andrew Carnegie was once one of the richest people in the world. Robert & Mary Higgins are buried with some of their family members & other early settlers in Higginsport Cemetery north of town on SR 221. The school closed in 1987. It’s one of the photographed & popular abandoned schools in the state. It was settled in 1799 by John Liggett, followed by a few other families & businessmen. Levanna had a log cabin school in 1800, the first ferry boat in Brown County around 1810, & was also where the first newspaper in the county was printed. The town didn’t grow fast, but kept growing & had its heyday in the 1870s & 1880s. There was a saw mill, lumber yard, & a small manufacturing factory operated by Boyd & Company, which also did business in nearby Higginsport & Ripley. Levanna also had a one room schoolhouse (Union Township #10), a blacksmith shop, church, planing mill, & a cooperage that made wine & whiskey casks. The abandoned house attached to this listing was the hotel. Vineyards were another source of income as grapes grew well on the ridges above the Ohio River & made good wine. In the early 1900s, the town had a train station on the Ohio Valley & Columbus Railroad but it went out of business before the 1920s. Levanna doesn’t have any stores or businesses today, but there are a few old abandoned houses around town & its a nice drive along the Ohio River & scenic byway. Some of the early settlers of Levanna were buried in Pisgah Ridge Cemetery north of town on Pisgah Hill Rd. New Hope was settled by Daniel Holloway (1795 – 1842) & Dillany (Reynolds) Holloway (1795 – 1881). They were already married when they arrived in the area sometime around 1818 & built their cabin on the plateau where New Hope currently sits. The town formed as more families moved there over the next few decades. In 1849 a cholera epidemic swept through New Hope, as it did in many other places in Ohio & around the country. 22 of the approximately 100 residents in town perished from the disease. New Hope started growing again after that & in 1876 the town had a wool mill, saloon, 3 stores, a school, church, blacksmith, doctor, & a wood frame bridge that crossed White Oak Creek. The population in 1880 was 138 & never boomed due to the lack of a canal or railroad. New Hope’s post office ran from 1828 – 1906. Today the town probably has less than 100 residents who we’d like to thank for keeping it clean & preserving their history. We didn’t see any abandoned houses & there are many old buildings & structures that are well worth stopping by & taking pics of. The old hotel & stagecoach stop built in 1846 is on the left side of Man St & a former grocery store & Odd Fellows meeting hall is across from it. A small building marked Scott Township Hall is in the lot behind the town marker on Main St. Over on New Hope – McKinley Rd, the Methodist church built in 1851 is still open. A little on down the road is the abandoned Scott Township School that was built in 1935 & closed in 1971. There are a few old cemeteries on the outskirts of town. Ripley was settled by Revolutionary War veteran Colonel James Poage (1760 – 1820) & Mary (Woods) Poage (1766 – 1830). James received 1,000 acres in Ohio from the state of Virginia for his service & moved his family there in 1804. They built a cabin on their land next to the Ohio River near the bank of Red Oak Creek. James was an abolitionist but couldn’t free his slaves in Virginia, for obvious reasons at the time, so he let them go upon arrival in the safety of Ohio. A few years later, James platted the town of Staunton, named after Staunton, Virginia. It only attracted a few families though, & the town was renamed Ripley after General Eleazer Wheelock Ripley (1782 – 1839), a hero of the War of 1812. More families moved to the area & Ripley’s growth began. It got a very early post office in 1816 & was involved in a bitter dispute for the Brown County seat of justice. The county courts were temporarily held in Ripley for a few years until moving to Georgetown. During the 1820s – 1860s, Ripley became an important shipping point on the Ohio River for crops from the county to be transported to towns along the Ohio & Mississippi Rivers. Corn & tobacco farming were the two main sources of income for local residents. The town was second place in Ohio, just behind Cincinnati in 1846, for pork packing. In 1860 the Ripley Gas Light & Coke Company installed gas powered lights in 75 homes & 16 streetlamps, making Ripley one of the first night time illuminated towns in Ohio. Ripley also had a strong abolitionist movement led by Rev. John Rankin (1793 – 1886), a Presbyterian minister from Tennessee, & his wife Jean (Lowrey) Rankin (1795 – 1878). They hid runaway slaves in their home at night & helped them escape to freedom on the underground railroad during the day time. When the Civil War began in 1862, Ripley’s old fairgrounds were used as a mustering & training point for Union Soldiers. The end of the war created an industrial & population boom the town. The 1870s were probably the peak of Ripley’s heyday. It had multiple mills, a lumber yard, two boatyards, a school, hotel, town hall, pork packing & slaughterhouses, a couple of cooper shops, several churches, and a large tobacco warehouse. There was also a train station on the Ohio River & Columbus Railroad in the first couple decades of the 1900s. Much like its nearby neighbors of Levanna & Higginsport, Ripley didn’t get big businesses in the 1900s to create a population boom in that century. However, it did maintain much of its population which is around 1750 today. There are several historical markers & old buildings around town. Ohio Historical Marker # 8 – 8 on N Front St has info about river town life in the 1800s. At the Union Township Library on the corner of Main St & Market St, Ohio Historical Marker #9 – 8 has a story about the Civil War & a restored cannon in the yard. Ohio Historical marker #7 – 8 at 502 S Second St tells the tale of Camp Ripley during the Civil War. Another Ohio Historical Marker, #4 – 8 at 300 N Front St is for the John P. Parker House. John Parker (1827 – 1900) was a freed slave, inventor, & businessman who helped slaves on the underground railroad. Both the Parker House & The Rankin House on Rankin Hill Rd are on the National Register Of Historic Places. The Rankin’s were buried in Maplewood Cemetery next to US 52 in the middle of town. James & Mary Poage were buried in Old Ripley Cemetery next to the bank of Red Oak Creek in the woods at 4th & Cherry St, where the end of 5th St once was. An extremely uncommon sight in Ohio is the restored W.L. Johnson Carriage Factory built in 1850 on SR 125 in Russellville. Although carriage factories were abundant in the horse and buggy days, just a few of the original ones survived into the new millennium. Civil War veteran William Johnson (1838 – 1921) & Cindora (Shaw) Johnson (1845 – 1917) owned the factory & had 5 children. Cindora was a granddaughter of Russell Shaw (1781 – 1864) and Josanna (Reynolds) Shaw (1779 – 1864) who founded the town in 1817. William & Cindora were buried with relatives in Linwood Cemetery on the east side of town on Russellville – Winchester Road. Featuring 10 towns with 16 pictures from Clermont County, along with historical research about the locations, “Abandoned Ohio” was released by Fonthill Media & Arcadia Publishing on October 1st, 2018. It’s packed with history, ideas for road trips, & also makes an awesome birthday or holiday gift!